Biography (Family Background): -- Ashkar Husain was born on 1st January 1955 at Sisona Village, District Moradabad. His Grand Father's name was Bahar Husain. Bahar Husain belonged to a landlord family. He had two sons known Zulfikar Husain & Munshi Ansaar Husain. Munshi Ansaar Husain Shifted to Sambhal after his marriage while Zulfikar Husain continued to stay at Sisona village. Zulfikar Husain was a Primary School Teacher at Village Seondara, District Moradabad. He was married to Shahjahan Begum. Zulfikar Husain had also been awarded by UP Governor for best teaching. Zulfikar Husain & Shahjahan Begum had six children, four daughters named as Arifa Begum, Asifa Begum, Sajida Begum, Ayesha Begum and two sons named as Intizar Husain & Ashkar Husain. Out of them two elder daughters Arifa & Asifa have passed away. Intizar Husain had been posted as a Sub Divisional Officer of canal at Aligarh but now he is also retired from his service & doing job in the private sector. 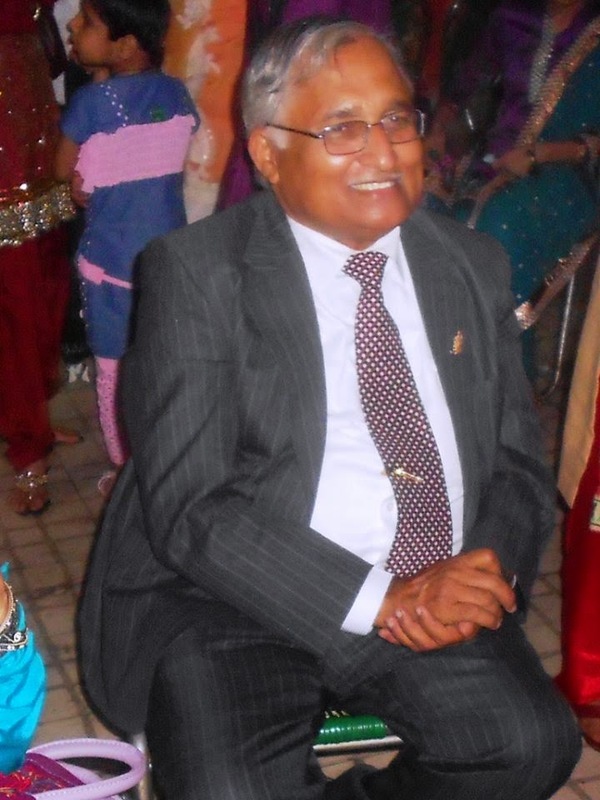 Educational Life: -- He passed his High School from RPVM Inter College Seondara, Moradabad with First division in 1968. After high school he took admission in HM Inter college Moradabad where he did only 1st year of Intermediate. Since his result was not satisfactory so he joined pre university at Aligarh Muslim University. He had been allotted VM Hall. He had lived there nearly about 9 years. He passed his graduation in 1974 in Botany Subject. After it he was admitted to M.Sc Botany though completed his Master Degree (Botany) in 1978. He has been loving books of different nature since childhood, so he did B.Lib.Sc in 1977. He has more interest in history, philosophy & litrature. His hobbies are watching old movies and listening old songs. Service: -- He started his job as library clerk in Haleem Muslim College, an aided college at Kanpur. While he started his government service as librarian of govt. degree college, Lohaghat on 7 december 1979. He was transferred to Jalesar(Etah) in 1984. In 1990, he was transferred to Ramnagar District Nainital where he gave his services to Government PG College near till 11 years. Later on, he was transferred to Gajraula (Amroha) where he served upto 2007 A.D & finally got transfer to Sambhal. Today he is going to be retired from his service i.e. on 31st December 2014 from Govt PG College, Sambhal. He has been a librarian in the grade of Associate Professor. So we are very thankful to him for his laborious & honest service to Government Sector. We hope that he would enjoy his retirement life with his family as well as to complete his ‘HAJ Visit’ successfully with the grace of almighty Allah.